As digital marketers, we work hard to create effective, high-quality content because it has an impact on why and how buyers make decisions. The challenge is that online buyers are more savvy these days and don’t want to be “sold” to. That’s why a social mention or a link from a trusted voice can surpass the effectiveness of even the most beautifully crafted content. How do you find that trusted voice? And once you find them, how do you capture their attention? 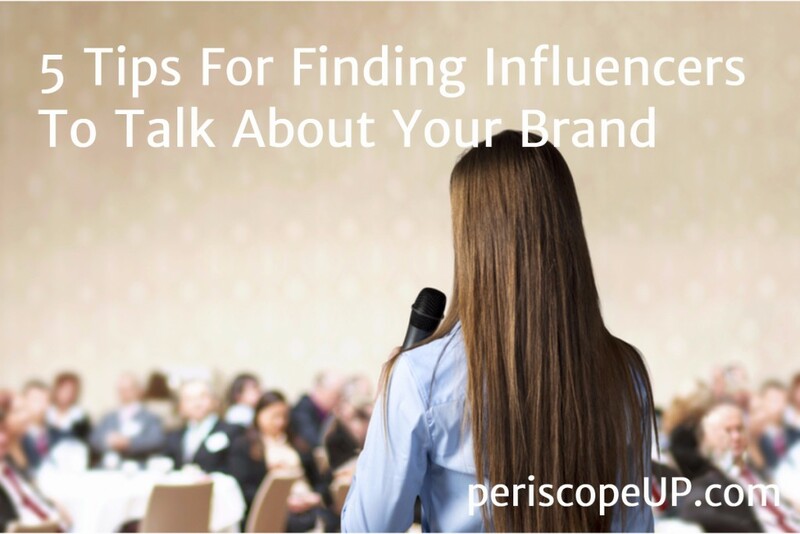 Here are some of our best tips for finding the right influencers to promote your brand. Content marketing drives your business forward. Call us at (443) 475-0787 or Contact Us online. The definition of relevance is “the quality or state of being closely connected or appropriate”. When you think of relevance in digital marketing, focus on the words “connected” and “appropriate”. You wouldn’t pitch a story about a travel brand to a real estate influencer, right? Make sure that the influencer talks (frequently—as in, not in a blue moon) about topics related to your product or service. This means that your offerings are aligned with their interests. Expert tip: For an even more effective outreach plan, find those influencers that talk about niche subjects related to your brands’ offerings. For example, let’s say your brand is a big travel company that specializes in adventure vacations in worldwide destinations. Maybe you offer trips for everyone, but Baby Boomers comprise the lion’s share of your customers. Finding an influencer that frequently shares content about travel experiences for active older adults might be a winning strategy. Once you have found these experts, be sure to review their following—or reach–and how effectively they engage with their audiences. Looking at how many unique visitors per month visit a website is not always the best metric to look at. Instead, review your intended influencers social media following. How engaging are they? Do they interact effectively with their visitors? Do people comment and respond on the comment that they share? How about their blog: Do people tend to like, share or comment on their blog posts? Finding an influencer that’s active and engaging on their platforms is someone worth building a relationship with. If you want a helpful metric to look at, check the Domain Authority of their website. There are a number of great ways to find influencers that fit your brand. Simply doing Google searches and browsing blogs, websites, and social platforms for relevant keywords is a good way to start. One of my favorite tools include BuzzSumo, which allows you to find not only influencers but also frequently shared content. Other popular tools include FollowerWonk and BuzzStream. Using an outreach tool can definitely help speed up the process, but good old-fashioned research is still one of my favorite ways to find the right influencers. Reading blogs and publications that likely reach your intended audience and reaching out to those authors or social sharers will eventually land you a mention. Be personable and warm, but not too familiar. Include relevant details like a link to your product or service. Let them know you have images. The biggest tip I have to offer? Don’t give up! Be consistent in your messaging to influencers and remember that it’s perfectly acceptable to send a polite follow-up email if your pitch gets ignored the first time (just wait a week or two if you can). If your pitch is more “evergreen” in nature, remember to try again in 6 months or a year. Some industries change frequently and so does the internet landscape, so your pitch might be ideal at a later time. Also, try a different angle if your first one fails. Getting feedback about your pitch from a trusted colleague may also help you create the perfect pitch. Successful content marketing campaigns are only as successful as the outreach that you do. Obtaining one mention from an authoritative voice may pay off in spades for your brand for years to come.